We have experienced hygenists here to help you. We offer modern and easy procedures to whiten, straighten and improve the overall look of your teeth. We have sealants that can help protect your teeth at any age. Our exams include a thorough check of the condition of the teeth and any existing fillings. The gums are also evaluated to allow us to check for signs of periodontal disease. We are always happy to answer any questions about suggested treatment, including estimates and other options. First impressions do make a difference. An attractive smile can help make that lasting impression and boost one’s self-esteem. For many reasons, patients are interested in improving the appearance of their smile. Cosmetic dentistry is focused on beautifying that smile. Neglecting your dental health can lead to more severe problems – take care of your dental health concerns early. Sealants can help protect teeth for people as early as age six. 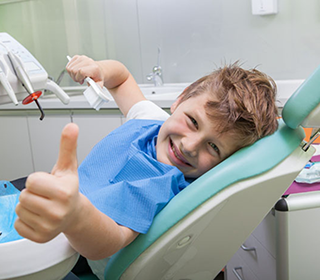 Since White Oaks Dental Office opened in 1997, our dental office is dedicated to providing you and your family with the highest quality dental care. Our friendly office staff will strive to make your visits as pleasant and comfortable as possible. We take the time to get to know our patients and offer services tailored to meet their individual needs. Dr. Hon obtained his dental training from the Faculty of Dentistry at the University of Toronto. He regularly attends seminars and courses to keep abreast of the latest developments in dentistry. Born and raised in Toronto, Dr. Dev attended high school in Scarborough. He received his dental degree from the University of Toronto in 1995 and then worked in Burlington before starting our practice with Dr. Hon in 1997.